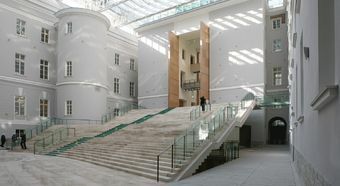 The Hermitage State Art Museum in St Petersburg is one of the largest and most significant museums of art in the world. 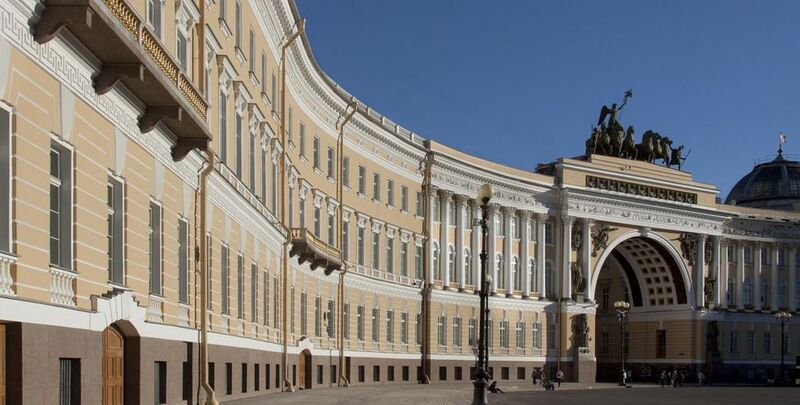 This building complex is a key element of the St Petersburg inner city that has been declared a UNESCO World Cultural Heritage site. 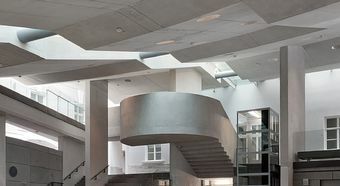 In 2005, its 3,500 m2 east wing was redesigned under the control of the Russian Studio 44 architect’s office and under the guidance of the Rem Koolhaas Office for Modern Architecture, Rotterdam. 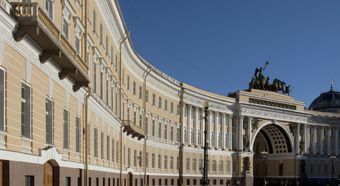 The focus of the reconstruction was on the inner courtyard. The courtyard was split into small differentiated courtyards with several connecting wings. 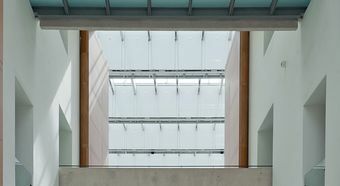 Exterior and interior spaces almost flow into each other through large openings in the form of open double doors. 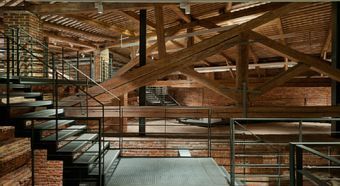 The classical organisation of space in museums – which has developed from the reutilisation of residences and palaces – is varied here in new ways and increased in an almost post-modern gesture in its excessive proportions. 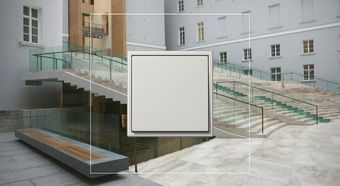 In its form and materials, the classically square design of the LS 990 switch range from JUNG in light grey fits in with the overall architectural concept of the museum construction. LS 990 Lichtgrau Zurückhaltendes Lichtgrau steht für puristische Eleganz in Duroplast. Dank des großen Funktionsspektrums sind vielseitige Anwendungen möglich. So lassen sich architektonisch anspruchsvolle Vorstellungen konsequent verwirklichen.